Welcome to the Spring issue of Commercial eSpeaking. We hope you find the articles are both useful and interesting.  If you would like to talk further about any of the topics covered in this newsletter, or indeed any business law matter, please be in touch with us. Amendments will result in wide-ranging powers for perceived anti-competitive behaviour. On 13 October the Commerce (Cartels and Other Matters) Amendment Bill was introduced to Parliament. This follows the Ministry of Economic Developments consultation draft of the Bill which set out a framework to prohibit cartels. If passed, this could put commercial players involved in genuine commercial arrangements through the criminal courts, discouraging them from setting up legitimate commercial arrangements. On 13 October the Commerce (Cartels and Other Matters) Amendment Bill was introduced to Parliament. This follows the Ministry of Economic Developments consultation draft of the Bill which set out a framework to prohibit cartels. If passed, this could put commercial players involved in genuine commercial arrangements through the criminal courts, discouraging them from setting up legitimate commercial arrangements. Amongst other things, the Bill replaces s30 of the Commerce Act 1986. Its enactment could also make commercial decisions in this area more costly due to the increased need for legal advice and compliance. Additionally, parties going through the new process would need to prove their eligibility for an exemption. What could this mean for business? it had been likely that New Zealand would bring in cartel legislation ever since Australia criminalised cartel conduct in 2009. The proposed framework defines the civil prohibition on cartel provisions widely, which would capture a large number of arrangements. Because of this, the Bill proposes exemptions which would be used to legitimise some of these arrangements. The proposed framework would also create a parallel criminal offence which means that these wide definitions would apply to arrangements in a criminal, as well as a civil, context. Output restrictions and market allocation are two terms used in the draft legislation; these are framed very broadly, and are likely to catch genuine commercial arrangements. For example, if a franchise such as Subway, specified defined geographic regions in which each of its franchisees was required to operate, and the arrangement included an agreement that the franchisee would not go into competition with the franchisor on termination of the contract Subway would be defined as a cartel. Why is the Amendment Bill a concern for business in New Zealand? Despite the exemptions for legitimate arrangements which are, at first glance, cartels, the simple fact that an arrangement will at first be defined as a cartel will not encourage a businessperson to create such an arrangement. Reliance on an exemption would be dependent on the Commerce Commission or the courts accepting that the arrangement satisfies one of the exemptions. Businesspeople will be exposed to the criminal process because of the establishment of a parallel framework between the civil and criminal jurisdictions; it seems harsh to put legitimate commercial arrangements through the criminal law and criminal procedure. In both the criminal and civil frameworks, the burden of proof is on the defendant to prove that an exception applies to their situation. This requirement will discourage businesspeople setting up a genuine commercial arrangement which is initially caught by the scope of the proposed definition of cartel. It also infringes on the centuries-old common law presumption of innocence by placing the burden of proof on the defendant. Commercial decisions will often depend on legal advice that a proposal is a cartel under the broad definition but will be covered by an exception. This will not only deter businesspeople from creating the commercial arrangements in question, but will also increase reliance on lawyers operating in this area of the law. The Commerce (Cartels and Other Matters) Amendment Bill has a number of issues. In order to crack down on genuinely undesirable commercial practice, the statutory definition of cartel is wide. It will discourage not only the establishment of perfectly legitimate businesses, but also innocent business operators may find themselves inadvertently caught in the new framework. The Financial Markets Conduct Bill has been tabled in the House. The Bill was borne out of the securities law reform process which has been underway for some time now, and sets out the framework for the future regulation of our financial markets (much of the detail of the new regime will be set out in regulations which are yet to be developed). The Bill rewrites and consolidates a number of pieces of legislation including the Securities Act, Securities Markets Act, Unit Trusts Act, Superannuation Schemes Act, Securities Transfer Act and parts of the KiwiSaver Act. Key aspects of the Bill include changes to the offers of securities that are exempted from compliance with the disclosure requirements of our securities laws, a product disclosure statement and securities register to replace the prospectus and investment statement, a regime for the regulation of collective investment schemes, a licensing framework for certain financial market participants and a modified liability regime. The Bill is of particular relevance to those who have raised or are looking to raise funds whether from public or private sources, those who have authority to manage others investments, those involved in the operation of collective investment schemes and derivatives dealers. It is expected that the Bill will go through the Select Committee process through the first part of 2012, with the regulations being developed though the year and the legislation enacted in late 2012. After a false start with the infamous s92A, the regime to discourage copyright infringement over peer-to-peer networks has finally been implemented in the Copyright (Infringing File Sharing) Amendment Act 2011 and associated regulations. The jury is out as to how effective the law will be; we have, however, already found that it is prompting useful discussions within client businesses about how staff and contractors use the business internet connection (since the business is typically liable for whatever they do with it). Combine this with the explosive growth in the use of smartphones in the workplace and we are finding many businesses using the s92A situation as an opportunity to discuss just what the parameters are. Can I use Facebook or Twitter at work? If so, what can I share with others? What if I comment unfavourably on the service provided by someone who happens to be a major customer of the business I work for? Well keep you informed on discussion around copyright infringement issues. A recent High Court decision confirms the wide reach of the IRDs powers to search premises and seize documents, including searches of private dwellings. The case involved search warrants executed on three private homes (and other premises) in an investigation concerning possible tax avoidance and/or evasion. The background, including a history of non-compliance with document production notices issued by the IRD and a series of black letter law arguments raised by the taxpayers may have informed the courts reluctance to interfere. Justice Venning held that it was for the court to monitor the manner in which the Commissioner exercised his powers, not the decision to exercise such powers (our italics). The case demonstrates that the courts will not lightly interfere with the IRDs search powers (which are arguably wider than most government entities), unless those powers were exercised in breach of the Bill of Rights Act 1990. Theres been some recent publicity about some new mums, whove taken parental leave, being surprised that their employer has paid their subsequent annual leave at a lesser rate, rather than at what was their full salary. The Parental Leave and Employment Protection Act 1987 allows parental leave to the employed and self-employed. When it comes to taking a holiday, however, an annual leave entitlement over your parental leave period switches to come under the Holidays Act 2003. Lets focus on paid maternity leave first: Paid maternity leave is available for up to 14 weeks, up to a maximum of $458.82 per week before tax. Its paid by the IRD. If your gross weekly pay, when working, was less than $458.82 then you will be paid at the lower rate. If youve worked overtime during the 12 months before you took maternity leave, this may make your average weekly earnings higher. Likewise if youre coming back from a period of extended leave and would normally have had regular overtime, you may not want to take any annual leave until youve worked another 12 months to ensure youre being paid at a higher rate during your holiday. And just so you know: when youre returning to work from parental leave, that parental leave period counts as part of your continuous employment. Our comments above relate to the minimum provisions in the Act, individual employment contracts may be more generous. The Department of Labours website, www.dol.govt.nz, provides a comprehensive guide to parental leave, including a paid parental leave calculator and standard forms. Its a most valuable resource for employers, employees and the self-employed. Two recent Employment Court cases have clarified the law on casual employees. Generally, a casual employee is one who has no expectation of on-going employment and their employment terminates at the end of each engagement. The strongest indicator of whether someone is not a casual employee, that is, a permanent employee, is by assessing whether you need to offer your employee available work and whether your employee is required to do that work. While employment can start out as casual, it can change to permanent employment over time. Despite the parties having signed a casual employment agreement, the court can consider the real nature of the relationship. If the employment agreement has any obligations which apply after each engagement, for example if your employee needs to give notice to take leave or to resign, or is restrained from working from other employers, then this will indicate there is a permanent employment relationship. These developments are of importance if you hire casual employees. If you incorrectly hire employees as casual employees, you could be liable following a personal grievance claim by your employee to pay them compensation and/or additional holiday pay. Download this issue in a PDF format.